Honda Motorcycle & Scooter India Pvt. 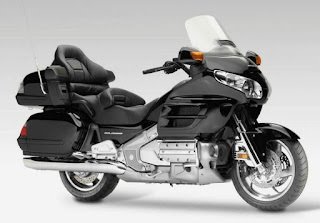 Ltd., today launched its hugely popular touring motorcycle - the Gold Wing - in India. Furthermore, the day also marks the 40th anniversary of the iconic bike. Powering the Gold Wing is a 6-cylinder 1832cc engine that is claimed to be highly efficient and reliable. The lightweight and rigid twin-spar aluminium frame and single-sided Pro-Arm swingarm delivers stability, and neutral & responsive handling. Additionally, features like five-position heated grips, independently adjustable heated seats and foot-warming system make it a really good tourer during winters. It also gets a luggage capacity of over 150-litres. However, that's not all; the bike also gets a 6-speaker 80W SRS surround-sound system, and riders can connect their iPhone, iPod and USB stick to play their favourite music. To make it a safe vehicle to drive in all situations and conditions, the Gold Wing comes fitted with Combined Braking System (CBS) and Anti-lock Braking System (ABS). For added protection, the bike also gets a fully-integrated airbag (available only in Gold Wing - Airbag), which was an industry-first feature when introduced in 2006. The bike also features a slow-speed, electric reverse system that provides the ease of overall manoeuvring in tight spaces and parking areas. Mr Keita Muramatsu, President & CEO, Honda Motorcycle & Scooter India, said, "We are excited to introduce one of the finest global offerings of Honda to India. We are celebrating 40 years of the Gold Wing and this model has given a new definition to touring. Ever since its introduction in 1975 the revolutionary Gold Wing has been the favourite of the touring enthusiast across the world. It was our customers' passion for adventure and travelling the open road that really defined the Gold Wing and has further, led us to introduce the same in India." Mr Yadvinder Singh Guleria, Vice President - Sales & Marketing, Honda Motorcycle & Scooter India further added, "Honda Gold Wing introduction to India is further to the overwhelming response it received at the Auto Expo 2014. Deemed as the ultimate pinnacle for tour motorcycling, Gold Wing is a machine with the power, refinement and reliability suited for road tours even at the most far-flung destinations in complete comfort. We believe Gold Wing will further contribute to the remarkably rising touring culture in India. 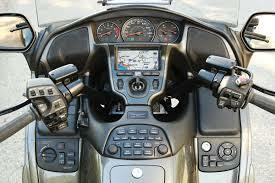 In fact, we have recently made the first delivery of The Gold Wing Airbag at our exclusive Wing World in New Delhi." To mark the 40th anniversary of this landmark product, Honda also announced the 40th Anniversary Edition-Gold Wing Audio Comfort for India and it will be available in Dual Tone Candy Prominence Red forRs.28.50 lakh (ex-showroom, New Delhi). The Gold Wing Airbag will be offered in Pearl Glare White at a price of Rs.31.50 lakh (ex-showroom, New Delhi).